The Olympics are only a few days away. I must admit that I’m not quite sure what to expect – will I be able to get to work? Will the tube be pushed to the limit? I guess that we’ll have to wait and see. I’m excited though that I’ll soon be at the games – going to watch the basketball. On Sunday the Torch came through Walthamstow and guess who was five minutes too late? Yes well, I can only blame the tardy other half of the foodies. My partner is responsible for the photos on this blog – we were too late to take any pics. So what should we do? We went for dinner. We went to a restaurant called Chennai Spicy, I think, (formerly Elephant God) on Hoe Street, Walthamstow. We chose a decent bottle of Muscadet for about £12. The previous time we visited they were just under new management and didn’t seem to have had a wine delivery, but this had changed and there was a choice of 4-5 reds and whites. We skipped the poppadoms, and for starters ordered Kingfish Fry – which was spicy fish steak which didn’t look too appealing but was really tasty. We also had Chilli Paneer which was less successful as I found the sauce a bit too sweet for me. For mains we ordered a Tandoori Mixed Grill – it was great. For £7.99 it was a bargain – it had 3 lamb chops, a sheek kebab, 2 pieces of masala fish, a couple of large pieces of chicken tikka and a few spicy prawns too. It was excellent value as it came with a big salad garnish and we added a couple of vegetable dishes and some rice and chapattis and had far too much food! We took home enough for lunch the next day. 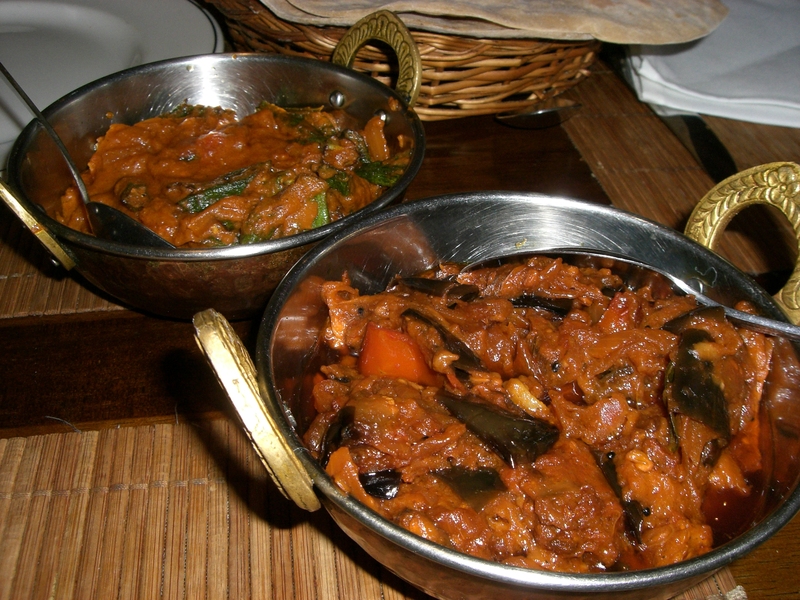 We ordered some vegetable dishes – an aubergine curry and okra masala which were both fresh and tasty. Only £3.50 each. I must admit that I’m a recent convert to Okra – I use to think that it was slimey and best avoided. 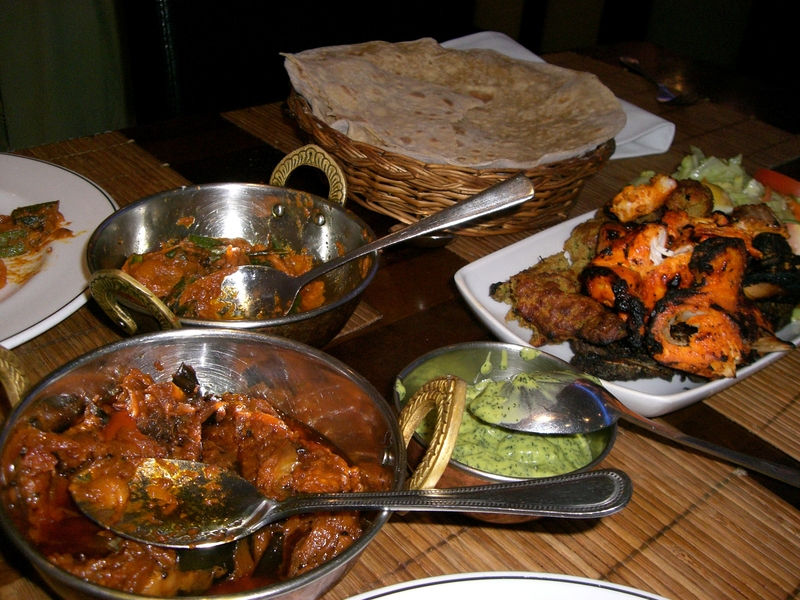 I had it recently at the wonderful Tayyabs restaurant in Whitechapel, London and it was crispy and tasted great. They too do a fantastic sizzling plate – Lamb chops, shami kebabs, masala fish….yum! but that’s for another post. The service was prompt and attentive if at times a little bit confused, and we spent less than £40 in total. They also have special reduction offers for first time and regular customers. We will definitely return. This entry was posted in Restaurants in E17 and tagged chennai spice, e17, restaurants, tandoori mixed platter, Tayyabs, Walthamstow. Bookmark the permalink.